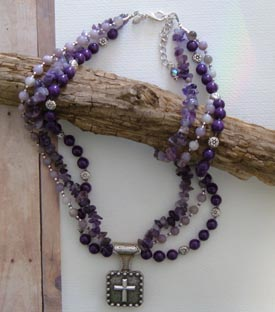 A Western Jewelry Necklace full of grace and beauty. 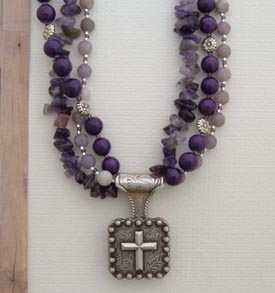 This Southwestern Designer Jewelry Necklace is 3 strands of semi-precious stones. 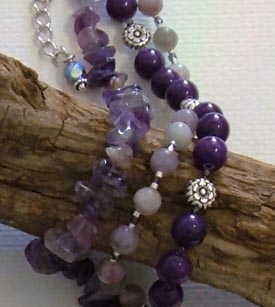 Amethyst, Purple Mountain Jade and Lilac stone. 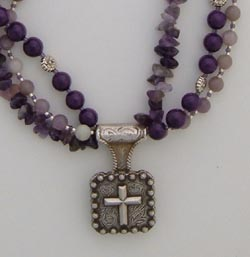 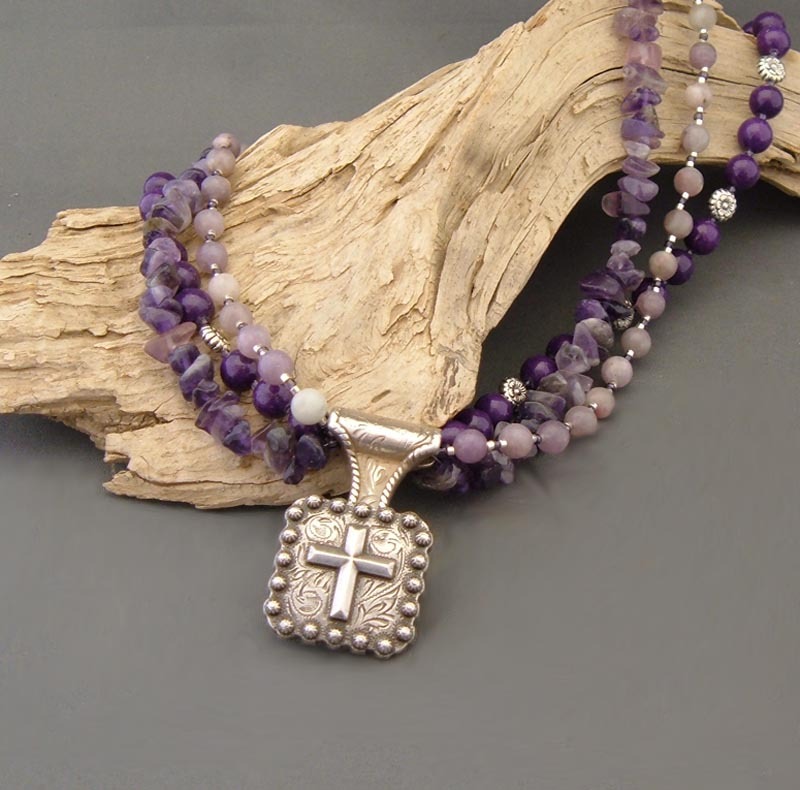 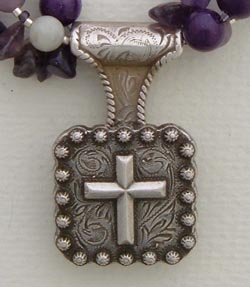 Highlighted with sterling silver beads and 1" square cross concho. 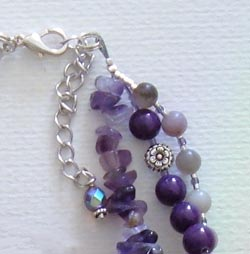 Necklace is 18" in length with a 2" crystal accented extender. 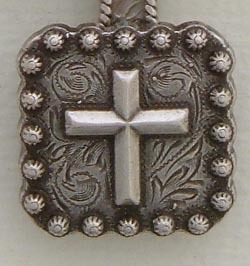 Lobster claw closure.